After seven years of study with Buffalo Philharmonic percussionist John Rowland, and four years of study on full scholarship with professor John Beck at the prestigious Eastman School of Music, Ron Wagner came to California as the drummer for the jazz fusion group, Auracle. Auracle recorded two albums on Chrysalis Records and toured internationally. In the years that followed he recorded and/or concertized on both drums and percussion with L. Subramanium, Larry Coryell, Peter Cetera, Steve Kujala, Chick Corea, Strunz and Farah, Ottmar Liebert, and others traveling throughout the U.S., Canada, Europe, India, Russia, Mexico, Asia, and Australia. He has played on commercials and TV/film soundtracks including Fantasy Island, Murder She Wrote, The Equalizer, Salaam Bombay, Star Trek: Voyager, Star Trek: Deep Space Nine, Star Trek: Enterprise and others . He became a private disciple of the great tabla master Pandit Taranath Rao, continuing for twelve more years, and has performed with Ashish Khan, Aloke Das Gupta, Rahul Sakyaputra, Sumita Kundu, and other Indian musicians. As his musical horizon expanded further, Brazilian maestro Moacir Santos introduced him to the sophisticated rhythms of Brazil. Singers Kenya, Eliana Estevao, Claudya, Sonia Santos, percussionist Junior Homrich (music composer for The Emerald Forest), keyboardists Marcos Ariel, Antonio Adolfo, and guitarist-songwriter Geraldo Azavedo all involved Ron on both drums and percussion in their projects. 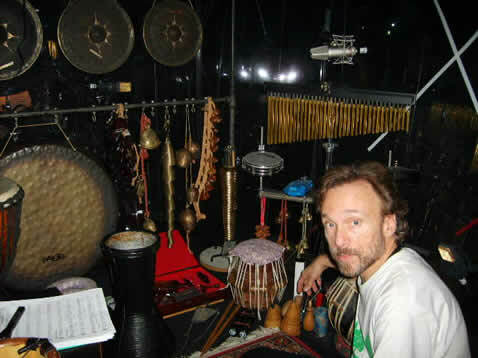 Ron began his foray into Middle Eastern drums beginning with the Avaz Dance Company. 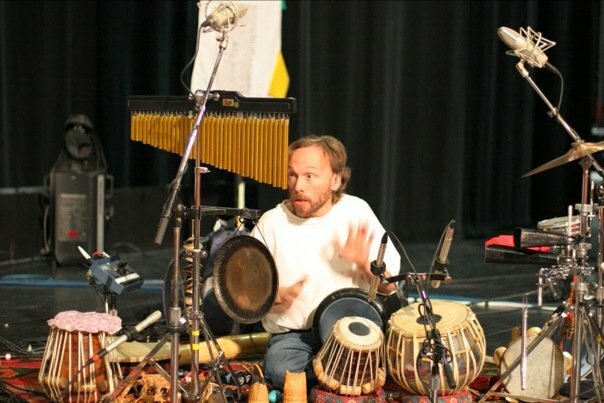 He performed drum solos on two Doiras (frame drums from Uzbekistan) and played Egyptian, Turkish, Armenian, Persian, and Central Asian drums with a variety of musicians and artists from the Middle Eastern community including Manoocher Sadeghi, Shahrokh Shahid, Davood Behboodhi, Manoocher Cheshmazar, and Heida to name a few. Ron studied the art of Arabic drums with Souhail Kaspar. Aaron is a pianist, accomplished actor & vocalist. He is also the creative camera genius behind many "FRAGRANCE OF SOUND" ® videos shoots. Thank you Aaron for all the work you do. Soon to be musically featured at some of the FOS concert events ! 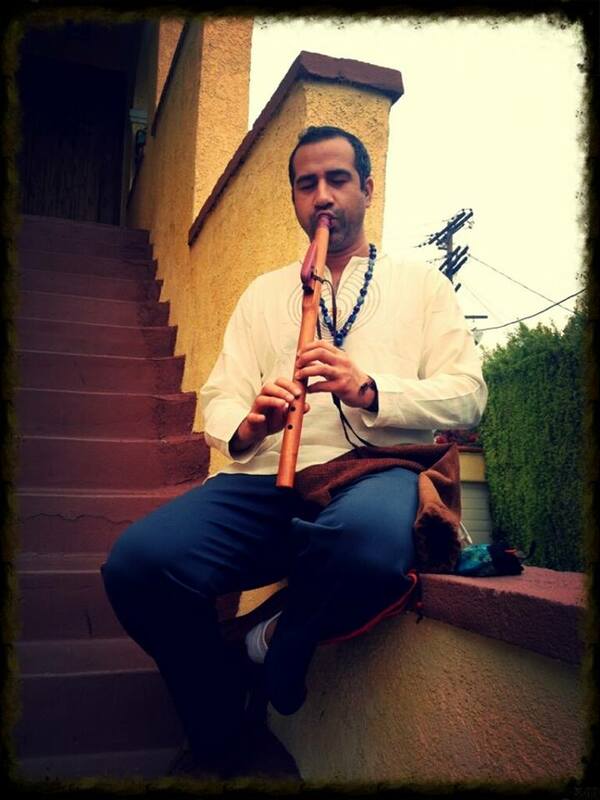 Maham has so eloquently graced FOS with his beautiful indigenous flute playing as of recently. Cross your fingers and look for Maham to share in the FOS Orange County Events periodically. 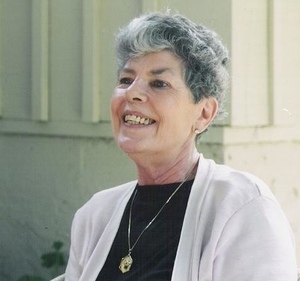 British Spiritual Poet, Elder and voice over artist extraordinaire, Sheila Shaw, is represented by Carol Day Kimble Casting, has trained with the great voice over artist, Rodney Saulsberry, and was featured on Huell Howser's TV program "Insights," among others. With a wry wit, and a voice that transcends the mystical, Sheila is an unmatched talent in Los Angeles. Sheila, Mari and Aaron are currently working on a project that brings the magic back into life. Stay tuned for upcoming details and more about Sheila. To watch Felicia dance is to see the primordial world moving before you. Watery and flowing and then likewise like fire, she moves with the rhythm of the spirit. Felicia is an Indonesian dancer, that pulls her inspiration from Indonesian sacred spiritual dance, internal martial arts, and yoga. We have known Felicia for many years due to our association with an internal Martial Arts Taoist Master we both work with. The first time we worked on a performance with Felicia, was on an FOS piece entitled "The Sacred Movement of Women," where she personified the undulating serpentine water of a woman flowing with her feminine nature. Felicia got rave reviews for her featured performance, and was a complementary addition to our vision and intent. 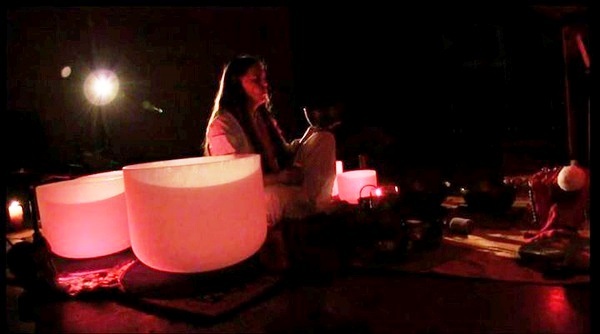 Felicia also brings her in-depth knowledge of Chi Kung, and internal Martial Arts to the Fragrance of Sound. She is a facilitator of these practices for students in the Los Angeles area, as well as a drum circle dance leader. Her mate is a spiritual realized master in the Yogic tradition. All material on this website is subject to copyright law. Copyright (c) All Rights Reserved, Fragrance of Sound, 2009-2011. Please do not copy any of this website without the Expressed written consent of the owner. Thank You.